BURLINGTON, Wash. (AP) — Police searched Saturday for a gunman authorities said opened fire in the makeup department of a Macy's store at a mall north of Seattle, killing four females, before fleeing toward an interstate on foot. 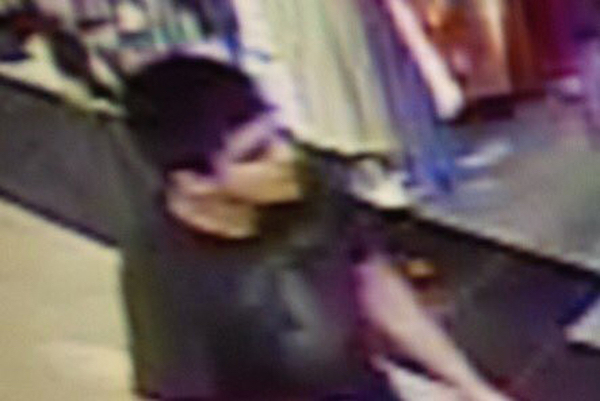 "We are still actively looking for the shooter," Washington State Patrol spokesman Sgt. Mark Francis said at a news conference. "Stay indoors, stay secure." Francis said police were seeking a Hispanic man wearing black and armed with a "hunting-type" rifle last seen walking toward Interstate 5. Authorities say the motive was unknown for the shooting about 60 miles (97 kilometers) north of Seattle. The FBI was assisting local authorities as dozens of police officers searched for the suspect. The FBI's Seattle office said on Twitter that it "has no information to suggest additional attacks planned" in Washington state but did not elaborate. Authorities initially reported four people were killed, then said three were dead, before revising the number again. Francis said the number fluctuated as authorities searched the shopping center. A male was also critically wounded, though it was unclear where in the mall he was shot. No other details about the victims were provided, including their ages. Tari Caswell told the Skagit Valley Herald she was in the Macy's women's dressing room when she heard "what sounded like four balloons popping." "Then I heard seven or eight more, and I just stayed quiet in the dressing room because it just didn't feel right. And it got very quiet. And then I heard a lady yelling for help, and a man came and got me and another lady, and we ran out of the store," Caswell told the newspaper. Stephanie Bose, an assistant general manager at Johnny Carino's Italian restaurant near the Macy's store at the mall, said she immediately locked the doors to the restaurant after hearing about the shooting from an employee's boyfriend. "He was trying to go to the mall and people were screaming," she told The Associated Press. "It was frantic." She said he could see police at the doors with assault rifles and said they were no longer guarding the doors as of 9:30 p.m.
Francis said at about 8:30 p.m. that the mall had been evacuated and emergency medical personnel were cleared to enter. Francis said authorities were still doing a "final clear" of the 434,000-square-foot (40,319-square-meter) mall late Friday night. He said 11 search teams and two K9 units were involved. "We urge residents to heed all safety and detour warnings. Stay close to your friends and loved ones as we await more information and, hopefully, news of the suspect's capture," Inslee said in a statement. The Cascade Mall is an enclosed shopping mall that opened in 1990, according to the mall's website. It features J.C. Penney, TJ Maxx, and Macy's stores, among other stores, restaurants and a movie theater. On Sept. 17 a man stabbed 10 people at a Minnesota mall before being shot and killed by an off-duty police officer. Authorities say Dahir Ahmed Adan, 20, stabbed the people at the Crossroads Center in St. Cloud, Minnesota.